Some years ago, I found myself holed up in an estuary in El Salvador for several months. 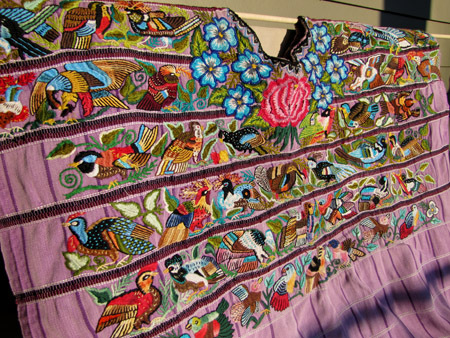 While I was there, I met a woman who had a collection of textiles from Central America. 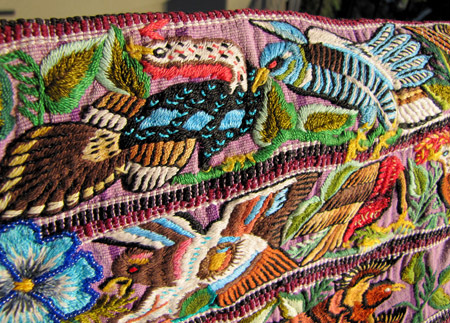 She had a Guatemalan huipil that was embroidered with birds and I thought it was about the coolest thing I had ever seen. 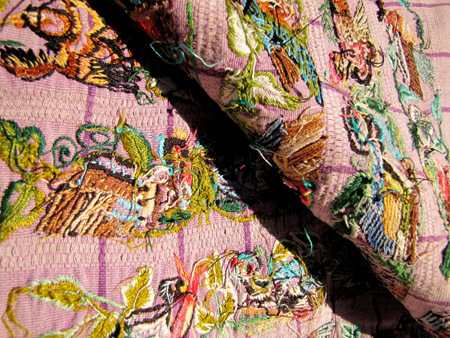 I’ve been pining after this textile for years. My mom spends a lot of time in Mexico and was on her way to Oaxaca to visit some friends. 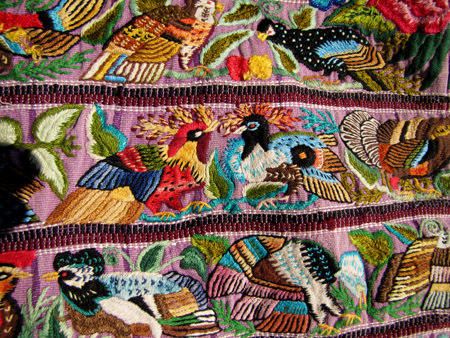 While she was there, she found an importer of used textiles, and digging through them, she found my bird huipil! I LOVE IT! Not to be a Portland cliche, but honestly, you put a bird on something and I’m about 200 times more interested in it. This huipil has something like 80 birds, which, well. You can do the math. 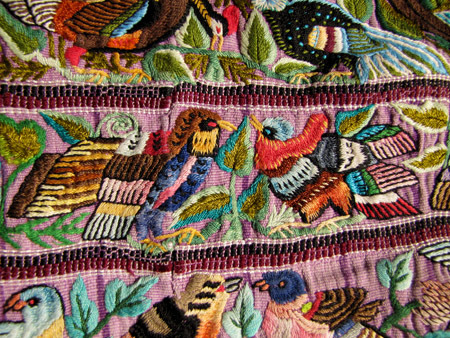 The back of these hand-embroidered huipils are just as interesting as the fronts: they are a cacophony of thread ends and knots. This entry was posted on Saturday, July 16th, 2016 at 7:24 am	and is filed under Misc ramblings, Other crafts. You can follow any responses to this entry through the RSS 2.0 feed. You can leave a response, or trackback from your own site.